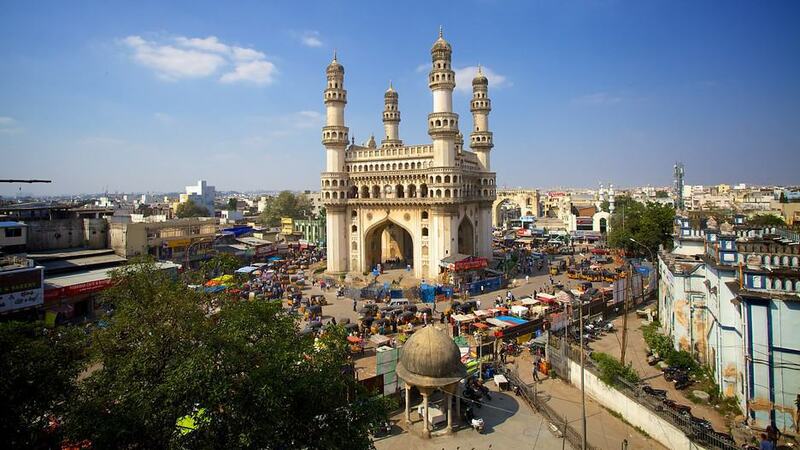 Are you planning to visit Hyderabad, the city of pearls any time soon? Would you like to travel round and explore the beauty of this metropolitan city? You must probably be confused as to where all you should go. That is why we made this article, specially for those who have not been to Hyderabad before. Here are top 10 must visit places in Hyderabad specially tailored for the foreign tourist. If you wish to start your journey with the blessings of almighty, here is the perfect start. The Birla Mandir would surely be on the top most visited places of Hyderabad. This white marble temple of Lord Venkateshwara floats on the city skyline, on Kala Pahad. The idol in the temple is a replica of the one at Tirumala Tirupati. After all these 4 pillars is all what Hyderabad is about! How can any forget to visit the Charminar? The Charminar is the signature of Hyderabad. Mohammed Quli Qutb Shah, the founder of Hyderabad, built Charminar in 1591. The monument is illuminated in the evenings and a pedestrianisation project around the monument is under implementation. Golconda is one of the famous forts of India. The name originates from the Telugu words “Golla Konda” meaning “Shepherd’s Hill”. The glorious past of Golconda Fort is narrated effectively with matchless Sound and Light effects. 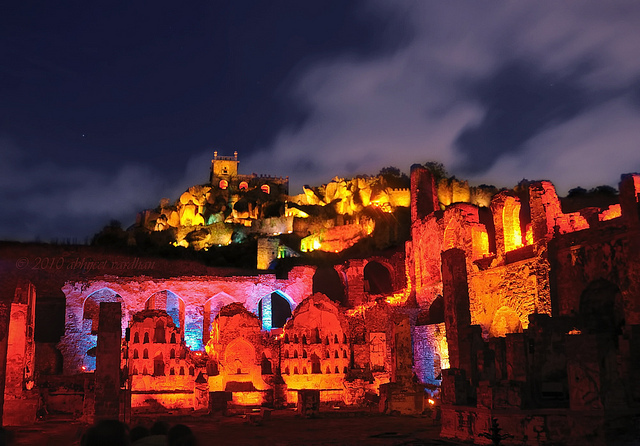 The unique Sound & Light Show takes you right back in time, when Golconda was full of life, glory and grandeur. Ever wanted to go out for a walk on a lovely road and to experience a thrilling experience of boating in the water? Of course, who cannot want to visit the Buddha Statue in the tank bund? One of the World’s tallest monolithic statues of the Buddha stands on the ‘Rock of Gibraltar’, in the middle of the lake. Surroundings of Hussainsagar Lake provide you with ultimate options like NTR Gardens, Necklace Road, Tank Bund, Prasads Multiplex, Lumbini Park, Sanjeevaiah Park etc. Watch out! You do not want to miss them too. Also Read: 10 Yummy Dishes You Must Try When You’re In Hyderabad! Now we suggest you to visit the place of pride for Hyderabad. 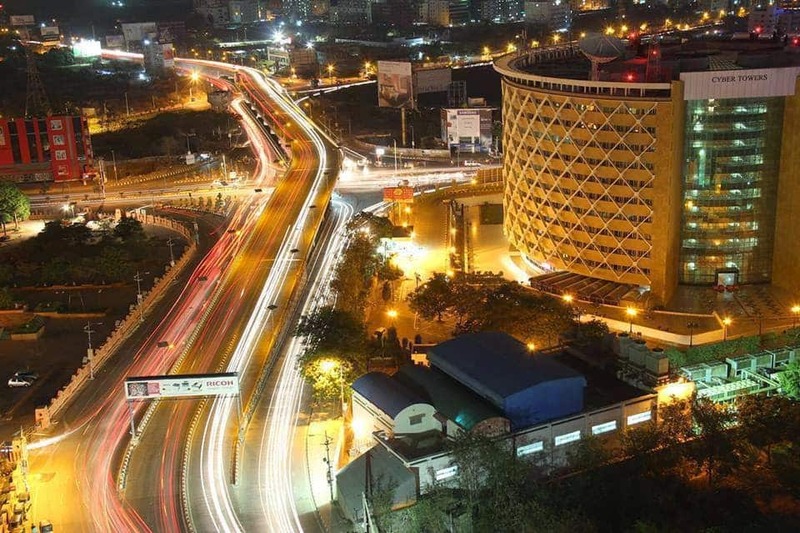 Situated on the outskirts of the city, Hitech city is the nucleus of Cyberabad, the IT destination in this part of the world. Cyber Towers is the main building here. Falaknuma Palace is one of the finest palaces in Hyderabad, Telangana,India.. 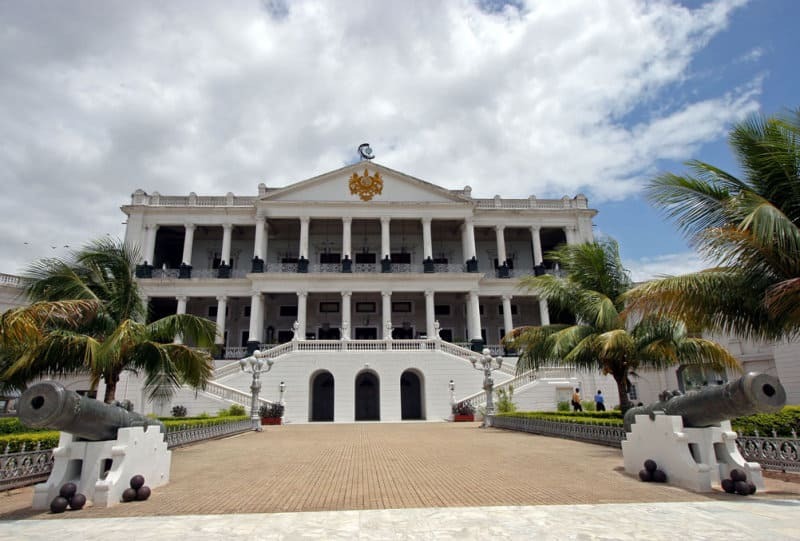 It belonged to Paigah Hyderabad State, and it was later owned by the Nizam of Hyderabad. 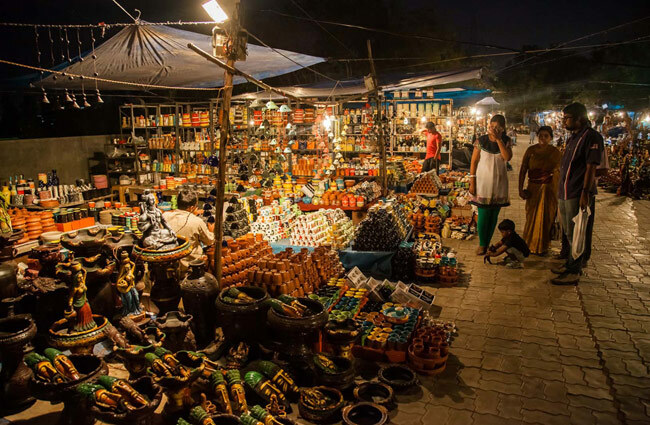 Another attraction at Madhapur besides Hi-tec city in Hyderabad is the 30-acre village, which showcases arts and crafts of the country. The crafts village hosts annual bazaars, where artists and artisans from all over the country exhibit their talent. One of the largest parks within the city KBR National Park is a Southern tropical deciduous forest and the last vestigial representative of the endemic flora of Hyderabad region, with over 100 species of birds, 20 species of reptiles and 15 species of butterflies. Tired with the long trips? Go watch a movie and relax yourself with the amazing IMAX experience. 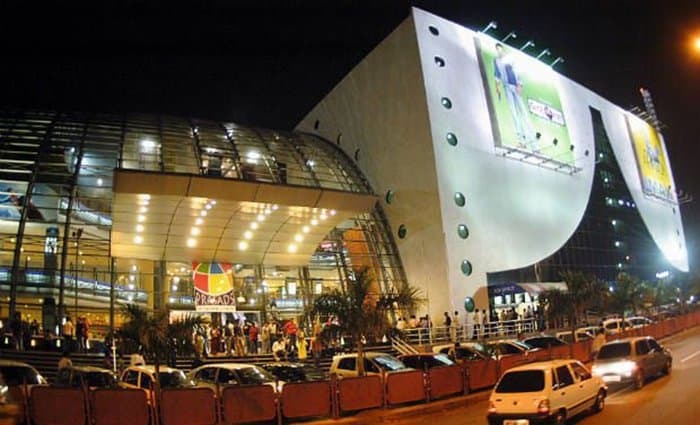 Prasad’s is a centrally Air Conditioned multiplex of an area of 2,35,000 sq ft, housing an IMAX Movie Theatre, a five screen multiplex, food court, multinational fast food outlets, a gaming zone and a Shopping mall covering two levels of the complex. When watching a movie, ever wondered about the locations and the settings? 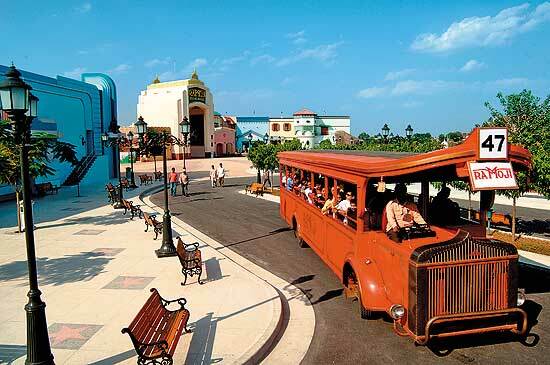 Here we recommend you to visit the Ramoji film city. At 2000 acres, It is the largest integrated film city in the world.It is also a popular tourism and recreation centre, containing both natural and artificial attractions including an amusement park. Hope this list of top ten places to visit in Hyderbad will help you explore the best in this beautiful city. We can also help you get foreign exchange in hyderabad. Book your flight tickets today and you are gonna fall in love with Hyderabad! « Infographic: 10 Easy-to-visit international destinations for the Indian travel buff!